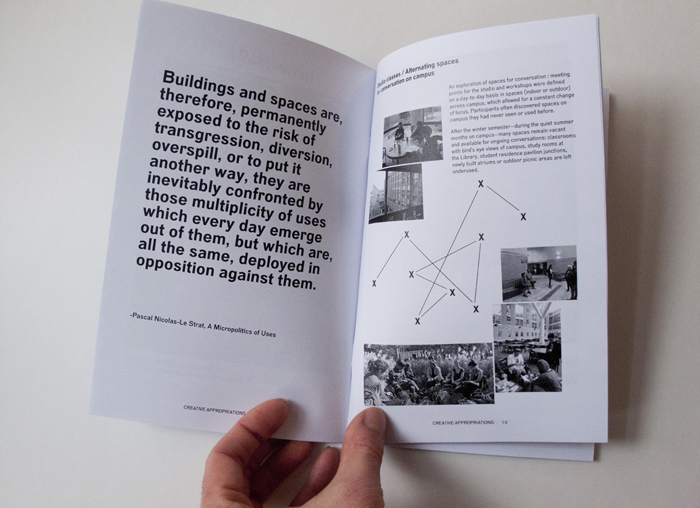 INFRACAMPUS is an interdisciplinary project developed by Jean-Maxime Dufresne and Jean-François Prost for SYN- that explores the social realities and spatial politics of the University of Guelph campus, and proposes the campus as a potential site for experimentation. 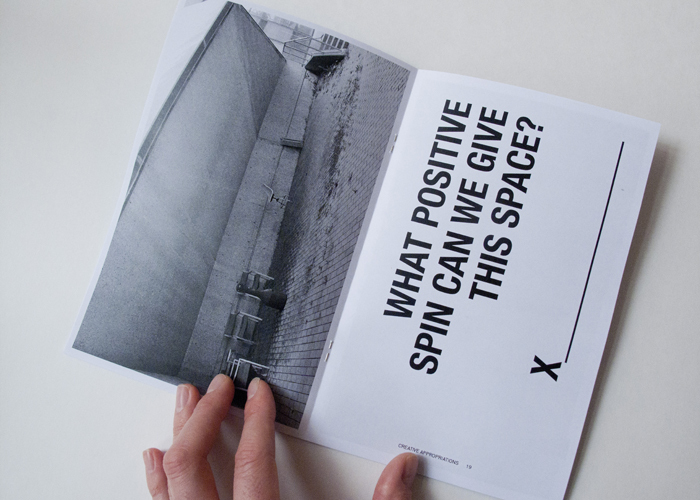 How can we engage the campus as a place for fostering new kinds of actions, social configurations and interrelations in common spaces which question their existing uses and perceptions? 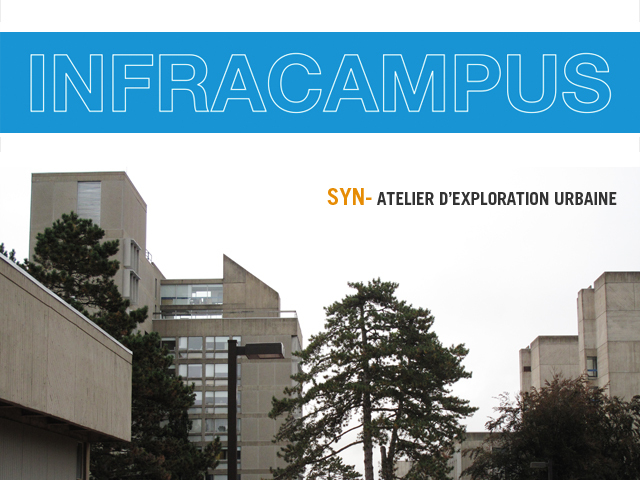 Initiated in 2011, the INFRACAMPUS project has been developed in three phases by SYN- in collaboration with different individuals and groups at the University of Guelph, as well as Musagetes. 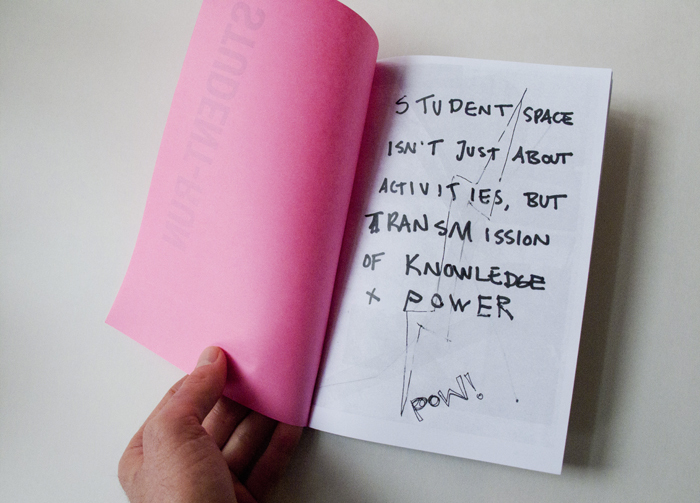 The third phase consisted of disseminating the research and knowledge produced in the first two phases of INFRACAMPUS to the broader community of students and staff at University of Guelph as well as Guelph residents, through a week-long participatory production of the INFRACAMPUS Zine in Winter 2013. 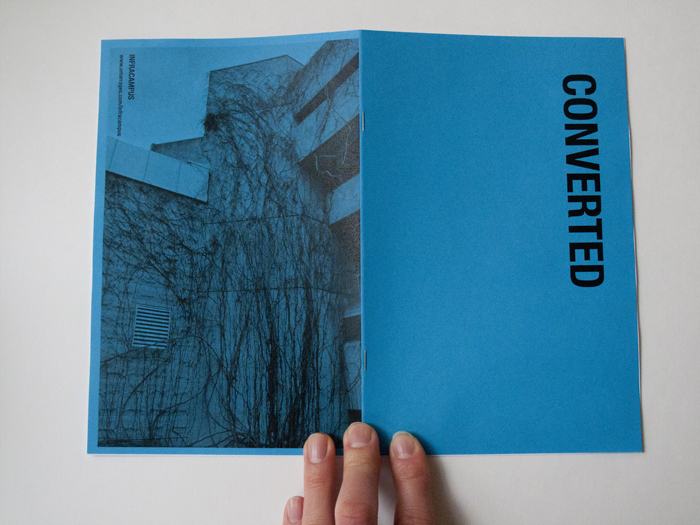 Unforeseeable and exciting content associations were generated during these working sessions by editing crews of students and staff. 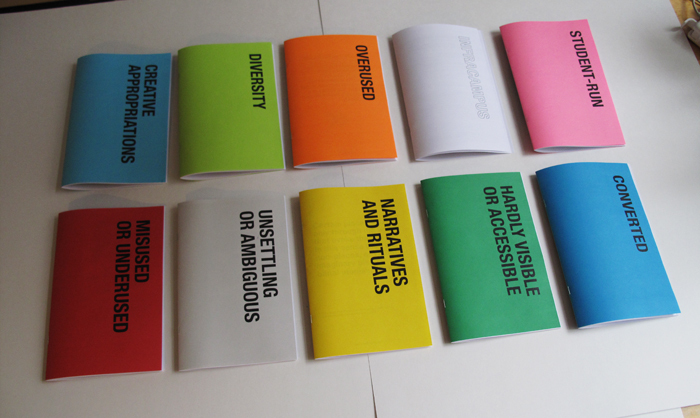 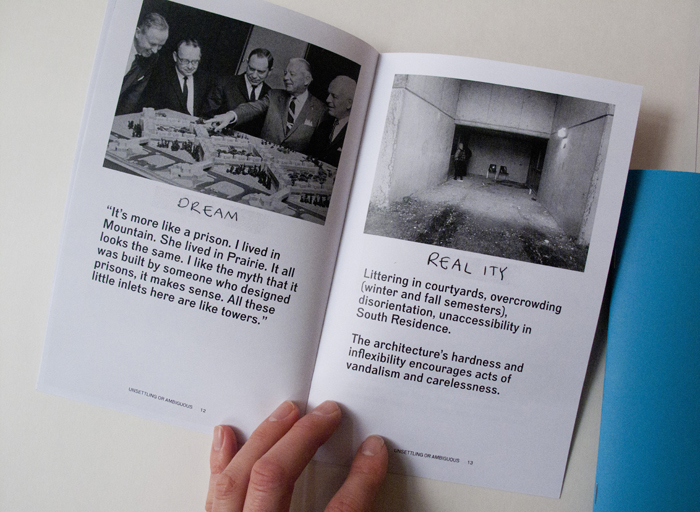 The Zine is comprised of a series of nine color-coded booklets that each refer to a condition explored during the INFRACAMPUS project. 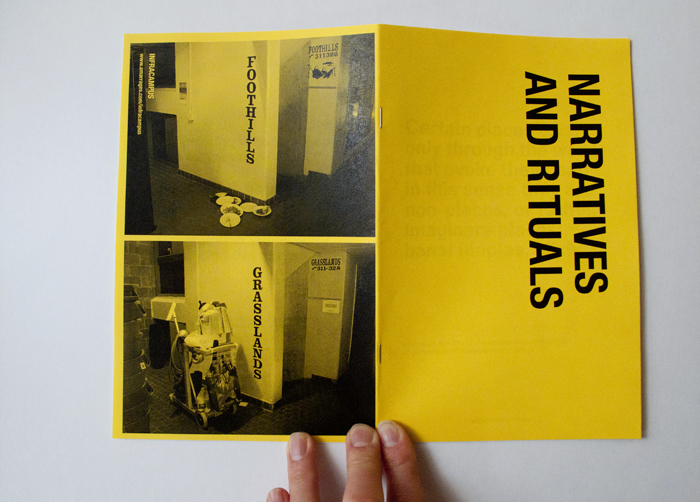 One hundred copies were printed and will be distributed on and off campus.